Marula Oil is a wonderful beauty ingredient, an all-natural, moisture rich, highly nutritious, light textured oil that hydrates and refreshes skin with nutrient rich anti-oxidents. With new Dial Miracle Oil Body Wash with caring Marula oil you can now splurge on this wonderful oil without spending a small fortune. I was given a sample of this body wash to try for myself and to try on the family. The scent is gentle, not girly at all, and the kids had no hesitation in using the body wash. Micro Oil Technology creates a luxurious clean-rinsing lather that feels just right and leaves skin feel soft and smooth. While I did let the kids try this I banned them from the rest of the bottle once I'd used it so I wouldn't have to share! The body wsah felt great and left my skin feel refreshed, clean, soft, and healthy. Enter below to win two bottles of Dial Miracle Oil Body Wash. One winner will receive two coupons, each for a free bottle of body wash. While most of the entries are one-time deals you are welcome to come back every day to tweet about the giveaway for more entries. Good luck! 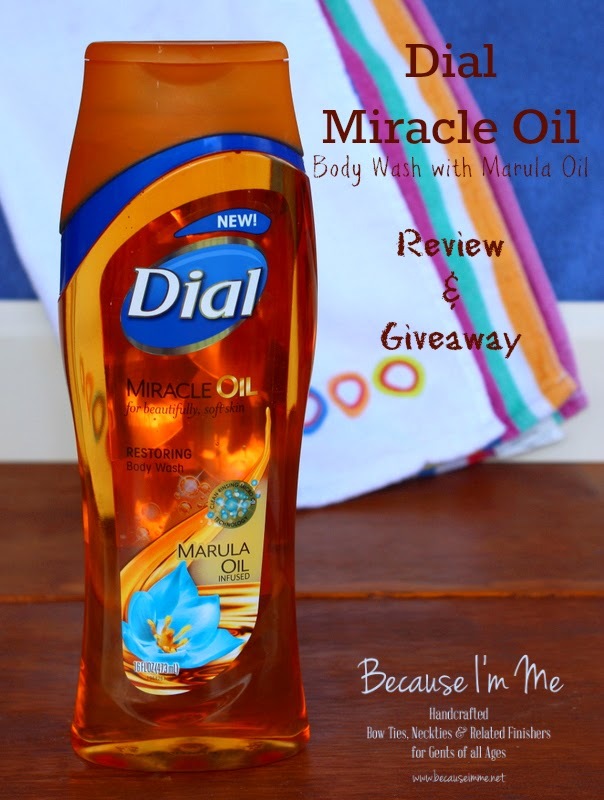 The Dial brand provided me with a sample of Dial Miracle Oil Body Wash in exchange for a product review. However, all the opinions expressed are my own. 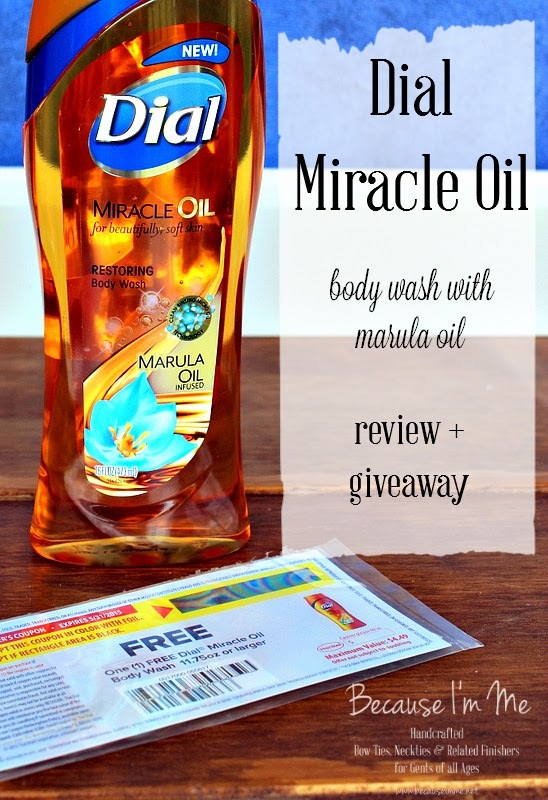 I would love to try Dial Miracle Oil Body Wash. I would like to try this Dial Body Wash to see if it would help with my dry skin! I would love to try this body wash. Thank you! I really like Dial body soap. Thanks for this opportunity. I am using the Dial Coconut Water body wash now and would love to try the new scent. I would love to try this. I have very dry skin especially in the colder weather. Thank you for the chance to win! I love Dial, I've never tried this before.